Home » Investment » Is It Smart to Invest in Things You Have No Idea About? Is It Smart to Invest in Things You Have No Idea About? When you’re sitting on a pile of money that you have no idea what to do with, chances are you’re probably going to turn to investments. Investing is a far better method of growing your wealth than letting it rot in a savings account. 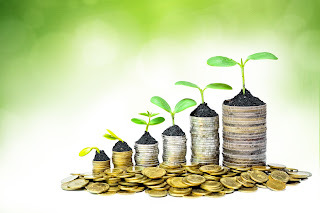 As you can probably imagine, letting it grow with tiny interest rates is not going to make you rich, and it’s far better to invest your money in something that has a chance of giving you larger returns than something that has steadily but almost negligible growth. If you’re starting out with investments, then you’ve probably read a couple of guides. Perhaps you’ve even read a beginner’s guide to investing which gave you plenty of ideas to work with. However, until you actually put your own money on the line, you’re never going to experience what it’s actually like to invest money. There are plenty of trading websites that let you open up a starting account with “fake” money. With this money, you can start trading, investing and essentially play it like a game. But that’s where the main problem lies: it’s a game. You’re not investing your own money, there is no emotional attachment and there are no repercussions for losing your money. In short, it’s basically virtual gambling. If you’re serious about investing, then you need to put your own money on the line. Not only does this prepare you for larger investments in the future, but it also gives you real-world experience that is invaluable for several reasons. Let’s face it, just because you have some clue about ranches, it doesn’t suddenly make you an expert on the topic. Sure, maybe you’re great at cooking, but do you really know how to invest in a restaurant and make it work? Overconfidence will ruin investors, so it’s important to understand your place in the world of investments. Don’t go into something you have no idea about—build a strategy instead. First, take a look at popular investment ventures. Biotechnology is a growing field that is receiving a lot of attention, and even the world of electronic sports is picking up traction. Next, look towards knowledgeable figureheads such as Jim Plante to learn more about the fields. In this case, learning from already successful investors in certain fields will give you an upper hand against the competition and teach you many valuable lessons that could only be learned through painful trial and error. So is it really smart to invest in something new that you’re not sure about? To a certain extent, yes. If you’re confident that you know about an industry and you’re willing to put your money where your mouth is, then stop right this instant. Anyone who goes into investments with an ego is going to get burned and will suffer incredible losses. Be humble, learn from experts and take it easy so you can learn as you go along.